As promised, I have put together the printable papercraft templates for the Crossy Road Chicken. 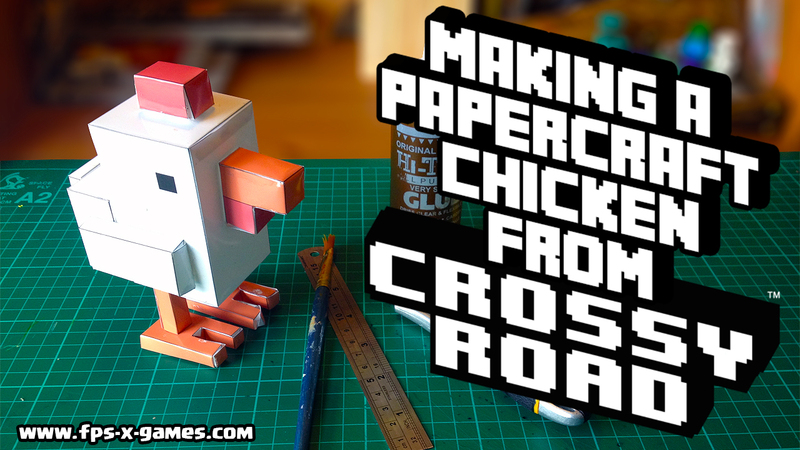 In this papercraft tutorial I'll show you how I made the chicken from the popular mobile game Crossy Road. 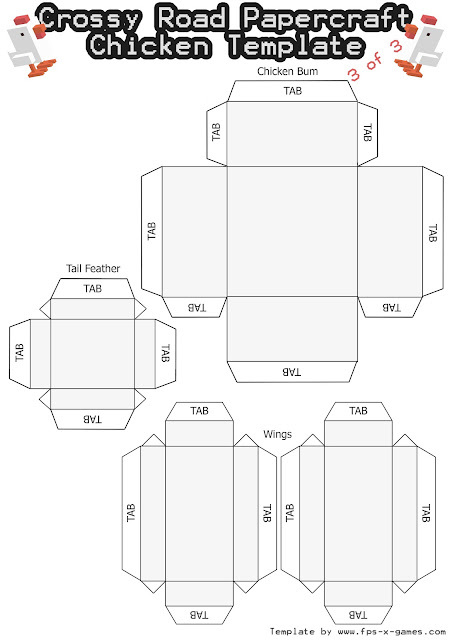 Left click the templates below to open a new window with full size A4 image. Then left click, save as and print. 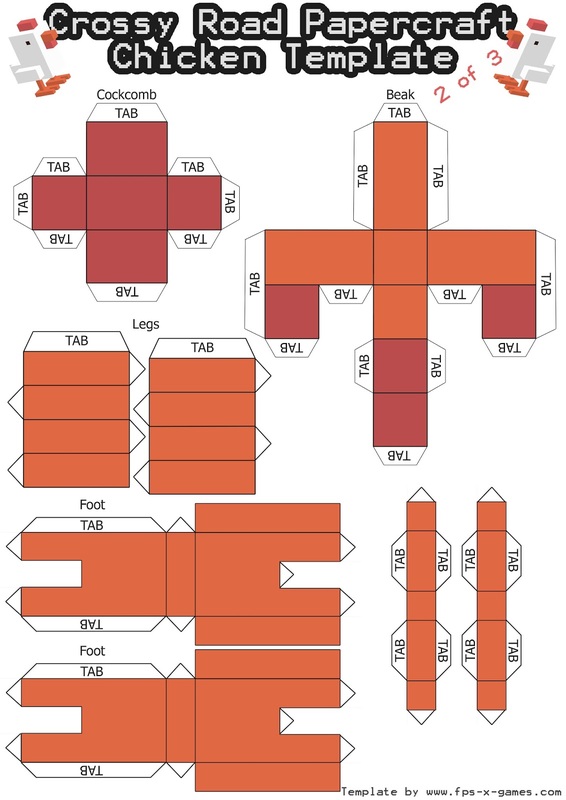 Watch the simple 5 minute tutorial on how to make your own Crossy Road Chicken using papercraft. I've also recently created the wooden version of the Crossy Road Chicken, watch it here www.youtube.com/watch?v=NGgqdvKbBKc. If you've made this papercraft Crossy Road chicken then I'd love to see it. Link your videos or images in the comments below. 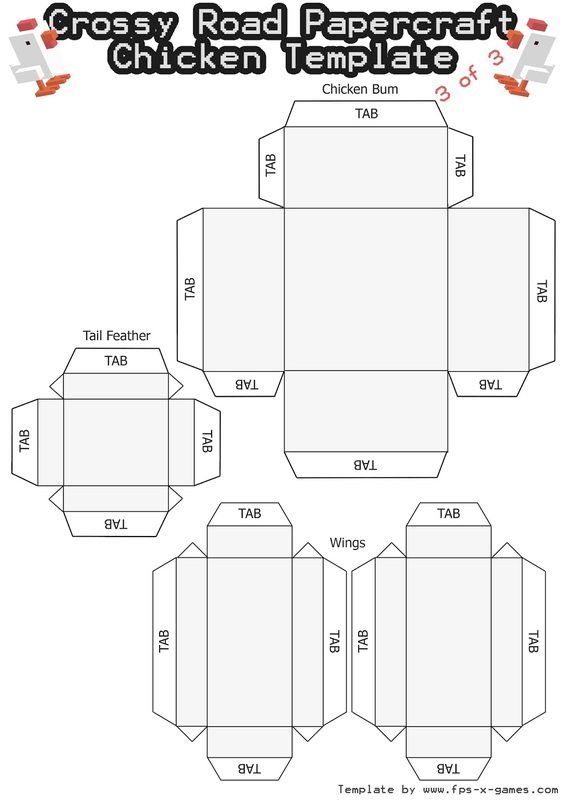 You could also share your creations with me on social media sites like facebook or Twitter. 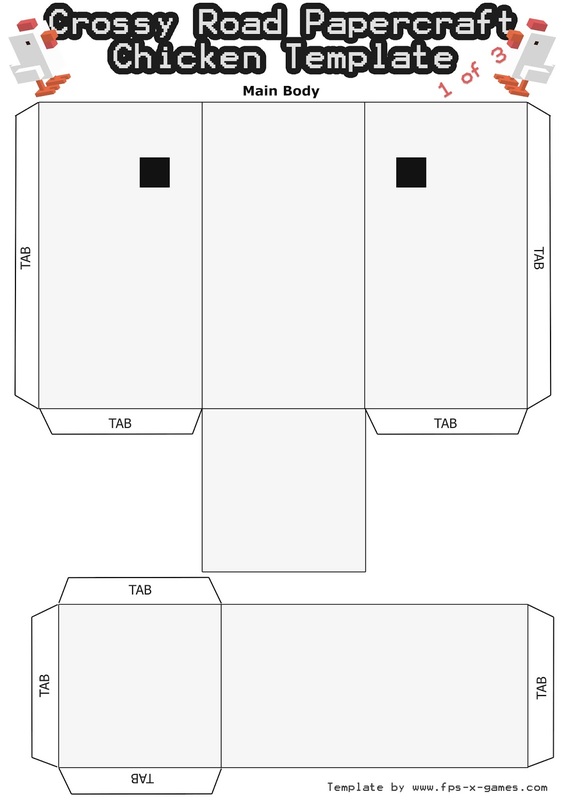 Also feel free to share these templates on your blog, but please just remember to link back, it's only right.